Does it matter – historically speaking? I am helping David Kelley, Jon Feiber, Reilly Brennan, Cliff Nass and our friends in the Revs Program with a class that is exploring the nature of historical significance. In d.school style we are asking the class to come up with the answers. Just what makes something historically significant? Of course it will depend on a host of factors. That’s the point. We’re using the world of the car collector to think through this wonderful question. Today we were so lucky to visit Arturo Keller and his extraordinary collection in Petaluma, California. 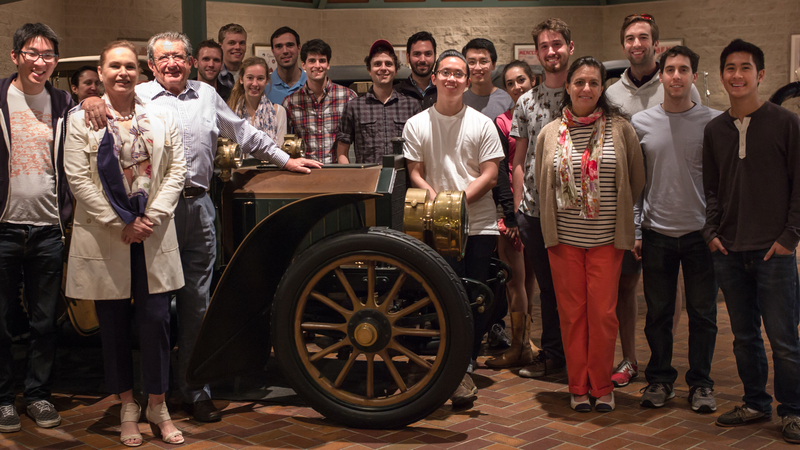 His family welcomed us too and we were joined by legendary restoration engineer Ivan Zaremba. 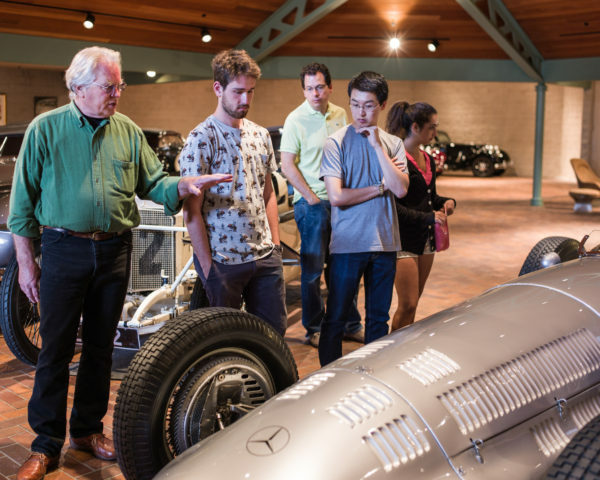 Ivan on the finer points of engineering in a Mercedes Silver Arrow of 1939.